On Monday, North Korea’s outward-facing state media published a statement attributed to the Institute for American Studies (IAS), a research institute under the country’s Ministry of Foreign Affairs. The statement built on several themes that have been emphasized in the weeks and months since the June 12 summit in Singapore between U.S. President Donald J. Trump and North Korean leader Kim Jong Un, addressing the current diplomatic impasse between the two sides as the year comes to an end. Trump and Kim are expected to convene again for a second summit in early 2019. The core thesis of the statement is that the United States’ “anti-DPRK sanctions and pressure” will “block the path to denuclearization on the Korean Peninsula forever.” As with commentaries that have appeared in North Korean state media dating back to at least July, the statement attributes growing U.S. pressure since the Singapore summit to senior U.S. officials beneath Trump himself. These kinds of North Korean statements have appeared through the Korean Central News Agency roughly every two to three weeks since U.S. Secretary of State Mike Pompeo’s July trip to Pyongyang to see through the implementation of the Singapore summit declaration. Pyongyang has broadened its signaling, too. Earlier this month, North Korean state media announced that Kim had overseen the test of a new, unspecified “tactical” weapon — his first observation of a weapon test in 2018. The implication was that continued U.S. resistance to sanctions relief — a core North Korean demand — might result in the erosion of the country’s self-imposed ban on weapons tests, including ballistic missile tests that Trump has touted as evidence of progress. In both the case of the latest statement attributed to the MFA’s Institute for American Studies and the tactical weapons test, North Korea was responding to proximal developments too. For instance, the United States and South Korea resumed a minor bilateral allied exercise as part of the Korea Marine Exchange Program. These drills had been suspended earlier this year to aid in the confidence-building necessary for diplomacy. Shortly after the exercise resumed, North Korea announced the weapons test (which may have taken place earlier in the year). 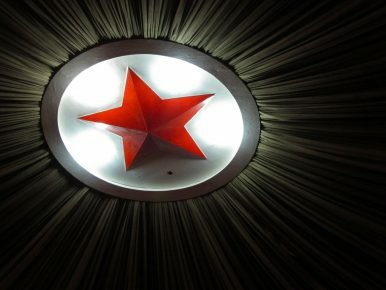 During the past six months since the Singapore DPRK-U.S. summit, the U.S. high-ranking politicians including the secretary of state have almost every day slandered the DPRK out of sheer malice, and the State Department and the Treasury Department have taken anti-DPRK sanctions measures for as many as eight times against the companies, individuals and ships of not only the DPRK but also Russia, China and other third countries by fabricating pretexts of all hues such as money laundering, illegal transactions through ship-to-ship transfer and cyber-attack. All of this points to a calibrated message from North Korea as 2019 comes around. We’ll likely soon have an authoritative pitch from Kim Jong Un himself, who should deliver his customary New Year’s Day address on January 1, setting up possible demands for diplomacy with the United States. Across multiple statements this year since the Singapore summit, Pyongyang has been careful not to commit itself to a particular course of action. Even this week’s MFA statement, attributed to an anonymous “policy research director,” is calibrated to be relatively less authoritative than other kinds of editorials. (The IAS uses common attribution for similar editorials, however.) Together, this year’s statements — and the “tactical” weapon test earlier this month — amount to shots across Trump’s bow ahead of the summit. Kim might seek to make that clear during his New Year’s Day address yet again, as a renewed round of “spring summitry” gears up in 2019.